When you feel like your heart is pounding so much faster than normal, you may be experiencing palpitations. They can occur at any time, including when you are sitting or lying down, moving around, or standing still. Palpitations in healthy hearts are a common condition. And rapid heartbeat can be controlled with nutritional intervention and basic lifestyle changes. Keep reading this article to discover how to stop palpitations naturally with Healthy Guide! I. What Are Heart Palpitations? 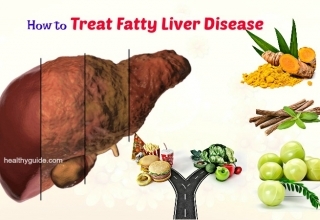 Having other medical conditions such as fevers, thyroid problems, low blood pressure, anemia, etc. Read on Top 48 Best Home Remedies For Stress Relief And Removal to discover some of the best natural ways that can give you a relief from stress and anxiety. List of Top 15 Effective Ways On How To Maintain A Healthy Heart will show you some of the best ways that can help you keep your heart healthy, so check it out! Heart palpitations can be frightening, but you do not feel worried too much. In most cases, you can control your heart palpitations without medication or surgery. If you experience rapid heartbeat, you should take a deep breath, relax and then apply some of the following tips to improve your heart health. This should be the first way on how to stop palpitations from stress that we want to mention in this article today. Researchers found that people who drank cold water before exercise might have a slower heart rate. 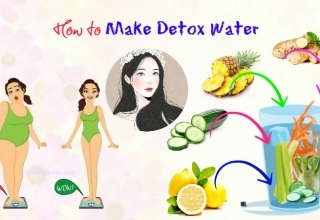 The fact is that swallowing the water can help to restore the rhythm. Therefore, if you have palpitations, sipping some cold water can help you slow down your heart rate and regularize your heartbeat. Alternatively, you can take a shower with some cold water to regularize your heartbeat. If you are unsure about how to stop palpitations from anxiety, then you can try taking a deep breath. Deep breathing can help you improve your mental health, reduce stress and bring your heart rate to normal by supplying enough oxygen to your body. Repeat the process for a few times until your heart rate becomes normal. Practice this process whenever your heart starts throbbing abnormally. Daily stress can give rise to heart problems and hypertension. If you often experience palpitations, the reason for that could be stress. And a solution for that is relaxing yourself. You can try practicing yoga to keep the body fit and the mind stable. You can spend 30 minutes every day on practicing yoga. If you are looking for great way on how to stop palpitations from anxiety, you should not skip this trick. We all know that drinking plenty of water is very important to stay hydrated and healthy, especially during the summer. Addition to this, a study found that a small amount of dehydration can lead to abnormal heart rate. 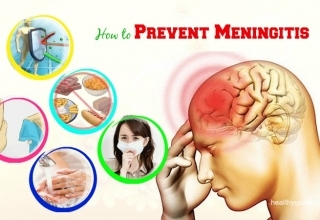 Therefore, by increasing your fluid intake, you can deal with your problem naturally. Try to drink at least 8 cups of water every day. Another treatment for heart palpitation is participating in a physical activity every day. Your heart will become healthier and stronger through physical activities. Some of great options for you are power walking, rowing, jogging, dancing, cycling, and swimming. You can play outdoor sports daily or try aerobic exercises 3-4 times weekly to keep your heart healthy. Just remember to warm up for about 10 minutes before starting exercises. Also, you should not do a workout excessively because it can lead to an abnormal heartbeat. If you want to know how to stop palpitations from stress by using natural ingredients, you can try making use of bananas. Bananas are a great source of potassium, which is very essential for the functions of heart muscles. According to a study , hypokalemia, which is a health problem caused by a low level of potassium, can cause palpitations and abnormal heart rate. So, if you want to have healthy heart, you should consume one banana on a daily basis or include it in your daily dishes. This sounds strange when it comes to learning how to stop palpitations from anxiety, but it actually does work. If you are overweight or obese, you can have higher risks of developing palpitations and other heart diseases. 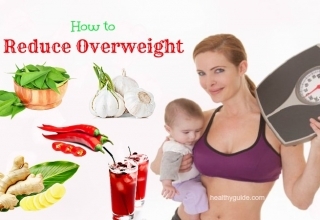 Therefore, you should try to maintain a healthy weight to keep your cholesterol and blood pressure levels stable. Blackstrap molasses is very rich in potassium, iron, sodium and calcium; therefore, it can help you treat anemia, which is known as one of the common causes of heart palpitations. To use blackstrap molasses as a palpitations treatment, you can drink a cup of water mixed with 1 tbsp. of blackstrap molasses or drink a solution made by mixing 2 tsp. of blackstrap molasses with some apple cider vinegar in a glass of water. Drink either of these solutions daily or the best results. When you cough, your heartbeat’s pattern will be broken; therefore, you can try coughing hard whenever you experience an irregular heart rate. The forceful coughing will put a pressure buildup in the chest, which brings your heartbeats to normal. However, keep in mind that this technique is not preventive, so you can do it while you are experiencing palpitations. Chamomile offers many benefits for human health, and one of them is its ability to treat palpitations. You can dip a chamomile tea bag in a cup of hot water and then consume it regularly. Just keep in mind that pregnant women should not use this tea. When it comes to learning how to stop palpitations from stress, you should know that honey works great in the palpitations treatment. You just need to mix 1 tsp. of honey in water and then add some lemon juice to it. For the best results, consume the solution before going to bed. This technique is done by closing both of your nose and mouth and then breathing out forcefully. It will initially increase your heart rate, do not feel worried because it will lower it gradually. This technique is ideal or those who experience very fast heartbeat. However, for old people or those with any heart disease, this technique is not recommended. Do you want to discover other effective tips on how to stop palpitations from stress and anxiety? Keep reading this entire article and then try to apply any of these natural treatments for good. Both of these ingredients can help you get an instant relief from chest pain caused due to abnormal heartbeats. Simply, you just need to mix 2 tsp. each of powdered coriander with powdered aniseed. After that, add 1 tsp. of honey to the mixture for taste and enjoy it after each meal. In fact, the combination of coriander and aniseed is very effective in reducing the rapid heart rate. So, you should not look down it, yet try to make use of this combination. Electrolytes receive or send messages and promote a healthy heart. According to a study about electrolyte disorders , the imbalanced level of electrolytes like potassium, sodium and magnesium can lead to fast heart rate. Therefore, you need to maintain your electrolytes levels by consuming electrolyte drinks. You can also take in electrolytes through daily diet. For example, you can consume bananas, milk, apple, orange, raisins, and potatoes for potassium; almonds, beans, dairy products, and tofu for calcium; as well as dairy products and spices for sodium. A lack of magnesium in the body can lead to heart palpitations. Therefore, you should try to include more of the magnesium-rich foods to your daily diet. Some great sources for you are kale, spinach, Swiss chard, almonds, cashews, pumpkin seeds, sesame seeds, quinoa; cold-water fish, oatmeal, bananas, peanut butter, avocados, and low-fat yogurt. If you cannot get enough magnesium through diet, you can take 350mg of magnesium supplements daily. However, you should consult your doctor for the correct dosage. Mix 1 tsp. of powdered cinnamon in a glass of lukewarm water. Then, drink this solution daily. Mix 1 tsp. each of honey and powdered cinnamon. Drink it once daily for several days. This herbal root can be effective in stopping mild cases of palpitations, improving the sleep and calming the nerves. In some cases, the abnormality of heart rate can be caused by the lack of communication between the heart and brain. You can take in valerian in the form of capsules, tea or tinctures. Just keep in mind that pregnant women should avoid consuming this herb. Actually, using valerian is known as one of the best ways on how to stop palpitations that you should know and then consider making use to bring your heart rate to normal. Peppermint contains cooling properties, so it can help to reduce the heartbeat effectively. Besides, it can help to strengthen the heart muscles and increase the circulation of blood. You can make peppermint tea at home by boiling some mint leaves in water for about 5 minutes. Just remember that pregnant women or those with gastroesophageal reflux disease should not consume peppermint oil. The herb is mainly used to treat cardiovascular diseases thanks to its ability to enhance the blood vessel walls, relax the cardiac muscles and increase the blood flow. Abnormal heartbeat and anxiety attacks can also be treated by the herb. Therefore, if you have any heart problem, you can take the herb frequently for two weeks. Alternatively, you can take hawthorn supplements to cure heart disorders. However, remember to consult a doctor before taking hawthorn because it can interfere with other drugs and pills. Also, this herb should not be used by pregnant women. If you are looking for natural ways on how to stop palpitations from anxiety, you should know that snake gourd leaves can be effective in stopping heart palpitations. Add some water to snake gourd leaves to grind them. After that, squeeze the juice from this prepared paste. Drink 2-3 tbsp. of this juice 3 times a day. 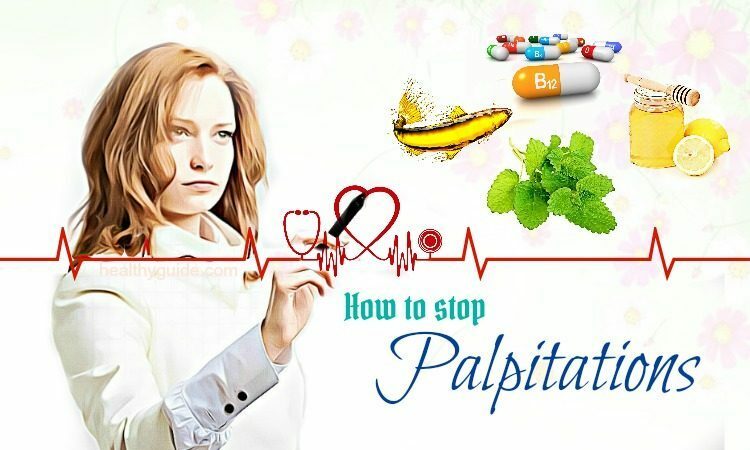 Many people who want to know how to stop palpitations from stress are surprised to know that Indian spikenard can be a great herbal treatment. Take 3g of Indian spikenard and mix it with a pinch of cinnamon and camphor. After that, you consume 1 tsp. of this mixture 2-3 times per day. According to a research about fish oil , fish oil helps reduce the levels of blood cholesterol, thereby keeping your heart healthy. You can add fish to your diet plan or take fish oil supplements. Besides, you can take in omega 3s from other sources such as olives, walnuts and flaxseed oil. 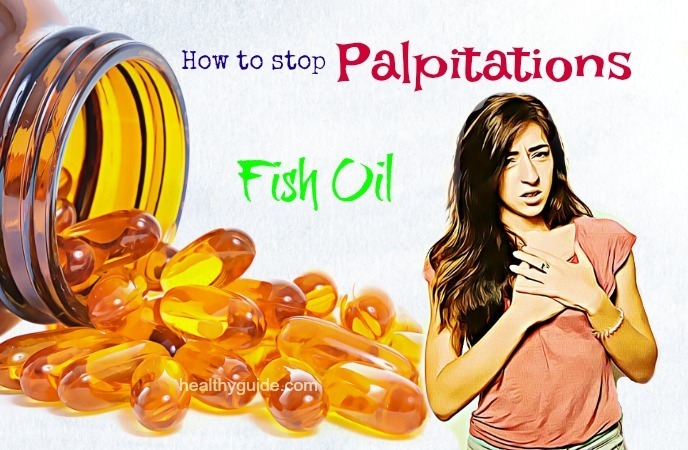 If you have palpitations after consuming fish oil, stop it right away. Black Haw root bark can be used to calm down the heart, thereby bringing your heartbeat to normal. Get the infusion or tincture of this herb mixed with water and then consume it in order to give you a relief from your irregular heartbeat problems. It is known as an effective remedy on how to stop palpitations from stress thanks to its ability to calm the nervous system. It works instantly to give you a relief from heart palpitations. Motherwort contains antibacterial, anti-inflammatory, antioxidant and analgesic properties, which are effective in boosting blood circulatory system. This herb can be taken in the form of tincture or tea. Garlic is worth mentioning in this list of effective ways on how to stop palpitations from stress that you should not skip. Garlic offers many health benefits, including lowering the blood pressure and clearing the clogged arteries. To stop palpitations, you can toss a raw garlic clove with 1 tbsp. of olive oil and some salt and then consume it daily. Another natural way on how to stop palpitations from anxiety is using withania somnifera. The herb can help to bring your increased heartbeat to normal by reducing stress. To use this herb as a palpitations treatment, you can consume 3-5g of powdered withania somnifera leaves or ¼- ½ tsp. of its root powder. The herb can help to reduce stress, insomnia, mild anxiety attacks and depression. When you have palpitations due to nervousness, this herb can help to ease the brain and heart effectively. However, this herb can interfere with your medications, so you should take this herb after consulting your doctor. Barley grass juice contains many essential vitamins, minerals, proteins, amino acids and enzymes. It can help to increase the blood flow and simultaneously prevent blood clots that can lead to fatal problems. By consuming barley grass juice regularly, you can keep the body healthy and reduce your palpitations. Other great ways on how to stop palpitations from anxiety must include using yarrow. Yarrow contains powerful anti-inflammatory, diuretic, antiseptic, and expectorant properties, making it one of the best ways on how to stop palpitations from anxiety. You can make yarrow tea by steeping 2 tsp. of the herb in the boiling water for 10 minutes. For the best results, drink this tea2- 3 times per day. Rosemary contains antioxidant, carminative, antibacterial, expectorant, stimulant and astringent properties as well as essential minerals required for the proper functioning of cardiac muscles and nerves. You can try massaging your skin with the equal amounts of mint and rosemary oil to reduce stress, relieve the chest pain and reduce heart palpitations. 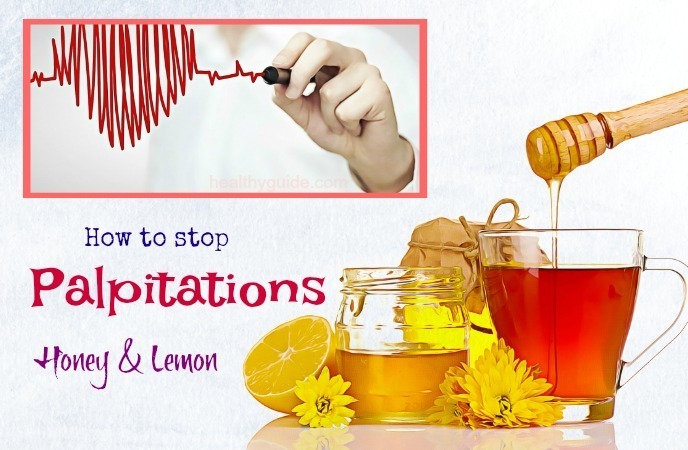 This is another one among natural ways on how to stop palpitations that we want to mention in this article and want all of my readers who are experiencing rapid heartbeats to apply for good. Lemon balm can be used in curing some mild heart problems and reducing anxiety. You can take its supplements or include lemon balm in your daily diet. Alternatively, you can make lemon balm tea by steeping 1 tsp. of dried lemon balm in boiling water for about 5 minutes and drinking it. The herb contains expectorant, diuretic, anti-inflammatory and stimulant properties. It is especially beneficial for calming the muscle excitement and treating heart palpitations. You can take it in the form of supplements or tea. Actually, this is known as one of the most effective ways on how to stop palpitations from stress that you should not look down, yet consider applying as soon as possible, especially if you want to bring your heart rate to normal with natural ingredients. The Ginkgo biloba extract can help to prevent cardiac disorders thanks to its powerful antioxidant properties. It helps to relax the blood vessels, increase the blood circulation during palpitations. Just remember that you should consume this herb only after you consult your doctor to avoid unwanted side effects. This herb contains antioxidant properties, which are effective in protecting your heart from oxidation. It is also a great solution for heart palpitations as well as chest pain. To make use of Arjuna for palpitations treatment, you can boil milk with 1/2 cup of water. Then, add few saffron strands and Arjuna herb to it. Take this solution 2-3 times per day. When it comes to learning how to stop palpitations from anxiety, cayenne pepper is a really natural treatment for rapid heart rates. Cayenne is well-known for its antiseptic and stimulant effects. 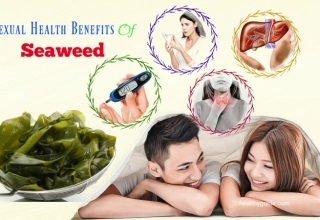 It can be used to clean the blood vessels and simultaneously increase blood circulation without causing any side effects, making it a great solution for calming heart palpitations. Consuming bugleweed is effective in stopping the rapid heartbeat and normalizing the heartbeat. 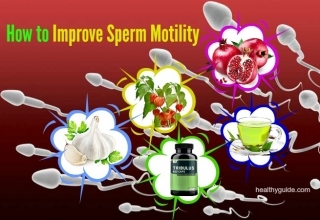 However, pregnant women, breastfeeding mothers, and people suffering from endocrine disorders should not take this herb. Reishi mushroom is good for the cardiovascular system. This mushroom can help to normalize the blood pressure, reduce the levels of “bad” cholesterol and cure abnormal heartbeat. You can use powdered reishi mushroom or its extract if you want to calm your heart rate. There are some other great ways on how to stop palpitations from stress in this article. So, you should continue reading the rest of this interesting article and then try to apply one or more of these natural treatments for good. Another natural way on how to stop palpitations from stress is using lavender, which is highly recommended for stress-related problems. Taking a bath with some lavender oil can help you soothe your nervous system and reduce high blood pressure and increased heart rate. A vitamin B3 deficiency can cause heart diseases, including heart palpitations. Vitamin B3 can help to keep your heart rate in check, improve heart function and boost the blood flow to your heart. Vitamin B3- rich foods that you can consume more include light tuna, light meat, pink salmon, peanuts, pasta, lean beef, and Lima beans. Heart palpitations can occur due to the imbalanced level of magnesium and calcium. Vitamin D is necessary for the calcium absorption. According to a research about vitamin D deficiency , a lack of vitamin D in the body can cause heart attack, heart failure, strokes, diabetes and high blood pressure. You can either take vitamin D supplements or consume more vitamin D-rich foods such as egg yolks, fatty fish, beef liver, milk, cheese, etc. Abnormal heartbeat can occur due to a lack of vitamin B12, which is mainly responsible for synthesizing the red blood cells. When the blood cannot carry enough oxygen to your heart due to a vitamin B12 deficiency, it can result in heart problems. 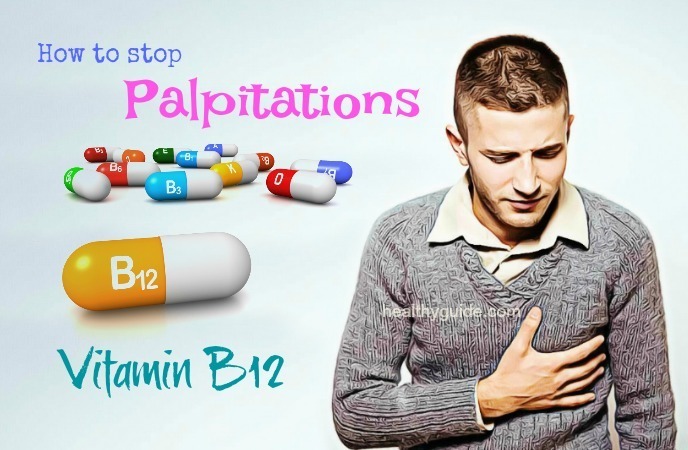 Therefore, if you want to know how to stop palpitations from stress, you can start by consuming vitamin B12-rich foods such as milk, salmon, eggs, trout, beef liver, cereals and clams. Just take note that this vitamin can interfere with your other drugs and pills, so you should consult your doctor before taking it. 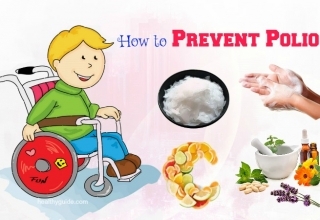 Vitamin E can be used as natural treatments for heart diseases. Getting enough vitamin E in your body is important for your heart to function properly while a lack of vitamin E can cause palpitations as well as other cardiovascular problems. However, keep in mind that high doses of vitamin E can also lead to irregular heart rates. This is also one of the best treatments for how to stop palpitations from anxiety that has been used for ages that you should try out! Vitamin C is a strong antioxidant, which helps to strengthen the immune system. A vitamin C deficiency in the body can contribute to iron deficiency and even cause rapid heartbeat, shortness of breath and dizziness. An adult should take in at least 100mg of vitamin C daily to attain the benefits. Some vitamin C- rich foods for you to choose from are kiwifruit, green leafy vegetables, citrus fruits, broccoli, tomatoes, berries, peas, papayas and bell peppers. If possible, you can avoid any substances that can be cause for your symptoms. Besides, you should talk to your doctor if any prescription medicines may be causing your heart palpitations symptoms. After reading this interesting article, we hope that you can find some of the best solutions for your health condition. Actually, you do not feel worried too much when you are suffering from abnormal heartbeat. This heart problem can be controlled by applying some of the natural treatments. Therefore, if you think that this list is helpful and can help other people around you who are experiencing heart palpitations, feel free to share this list with them as soon as possible. One more thing, if you know other great ways on how to stop palpitations from stress and anxiety, you can leave your ideas in the comment box below.